Being Retro: Captain America... Worthy? 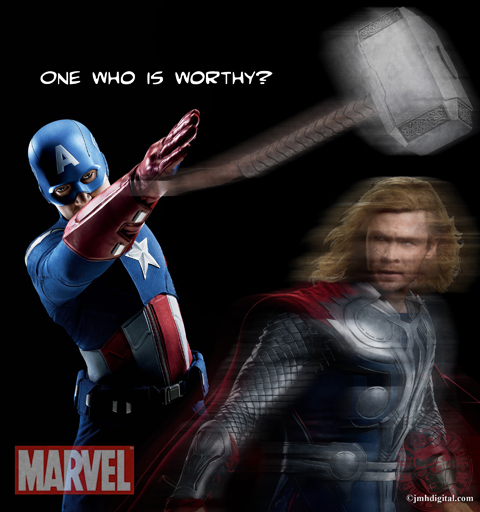 Just a thought after watching "THOR" last night... Can Captain America be able to lift the Hammer of the Mighty THOR? When ODIN banishes THOR to Earth... Whosoever holds this hammer, if he be worthy, shall possess the power of THOR!. Could that be Captain America any thoughts? You are a fool and a old man!! So happy Friday, hope the week has been treating you right.... I am ill again, might need to take a trip to the doctor this time. So over at the "HOWLIN' WOLF" is some fun giveaways and more coming, I feel behind in my reviews and post last month. It is catch up time over there... lots of posts in little days, enjoy. You're right about that, Zombie. In the comic books, at least, Captain America is the only mortal character that is "worthy" enough to have lifted Thor's hammer. Many others have tried, but all the rest have failed. i wondered if the comics ever covered it... that is a great question. Captain America is NOT worthy. He judges others because he thinks he's sooo much better than everybody else. Boo! 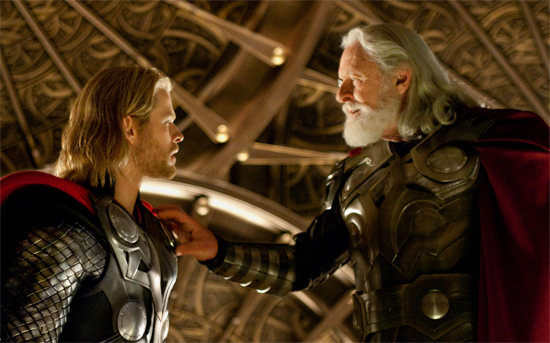 Thor should clobber him with his hammer in the next Avengers. he has the good in him, that is why they chose him... he can be a little judgmental, but in a good way... right. Melissa is bitter! Yes, I give her grief for not liking Captain America. I'd say he is worthy. Sorry you're ill. Get some good drugs and rest. overall he represents all that is good about being a hero in and out of the costume. and thank you. I'd say he's worthy. Isn't that what Dr. Abraham Erskine told Steve the night before the test, and again right before he died? "This is why you were chosen. Because a strong man, who has known power all his life, will lose respect for that power. But a weak man knows the value of strength, and knows compassion." Also... "Whatever happens tomorrow, you must promise me one thing. That you will stay who you are. Not a perfect soldier, but a good man." thank you, exactly... right. it's on the inside!! wow, just wow... i am glad they are on the same team... that way we don't choose. Great point Jeremy. I imagine he is the only one worthy enough (Sorry Melissa). He was a lot more judgmental in The Avengers. In CA he didn't seem as pompous.